Rivers and Lakes. A refreshing leave from the city. 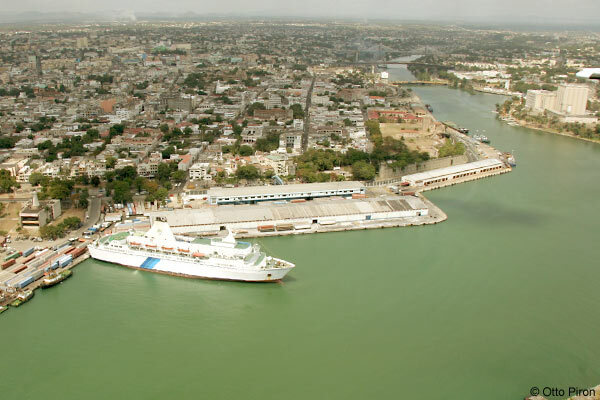 The Yaque del Sur is the most important river on the southern coast. It rises at an altitude of 2,707 meters in the southern slopes of the Cordillera Central. The upper course flows through the mountains and is about 183 kilometers in length. The river forms a delta near its mouth in the Bahía de Neiba. This Lagoon is near Playa Grande, about 1 hour east of Cabarete. 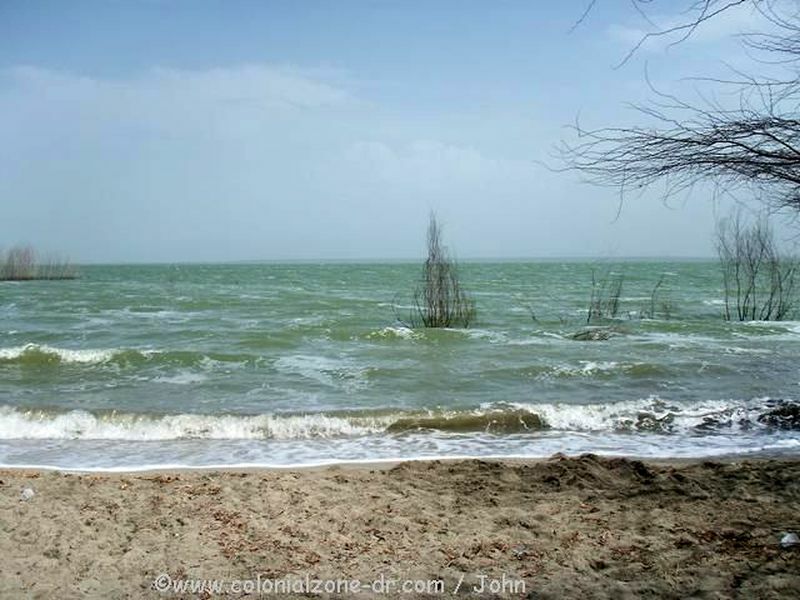 Located near the fisherman's village of Rio San Juan. 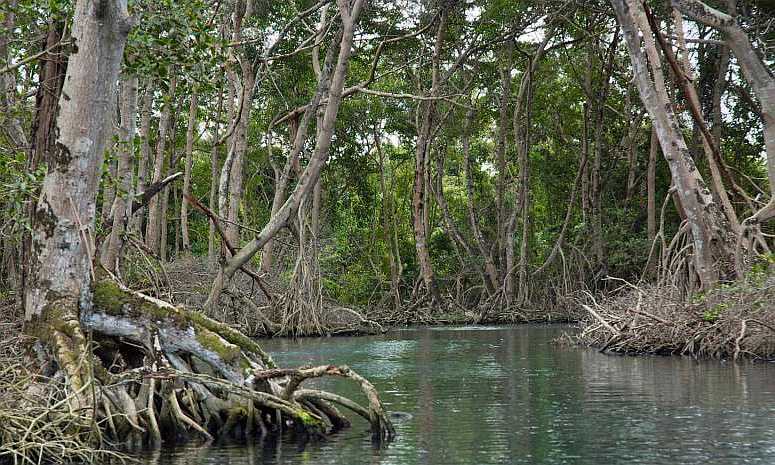 You can take a boat trip on the sweet waters of Gri Gri Lagoon.This is a fresh water lagoon with a mangrove forest forming a canopy over its various channels. A extraordinary ecosystem with a beautiful and breathtaking view of crystal clear green shimmering water as far as the eyes can see. There are beautiful reefs and groves spilling over with a vide variety of tropical birds. One can see vultures in the trees and tree frogs in the roots. The winding lagoon full of fish and even some piranha. This winding water way leads to a shallow cove with beautiful El Caletón Beach. It is unlike any other beach in the country. Coming onto this beach you enter through a stone arch on the reef. This cove has a crystal clear pool where you can enjoy a swim and some sun. There is a cave unique to the area located here also. El Mangle restaurant is located on the lagoon. It juts out over the lagoon and is a great typical Dominican restaurant to visit while at the lagoon. Also an excellent place to dive. Among divers this is said to be one of the better sights for diving. 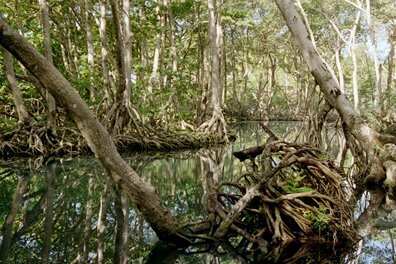 There are many excursions taking people out for a boat ride through the mangrove forest. There are also diving excursions that have some great reviews. Check out our pastimes-water_sports page (opens in new window) for information on dives available in Dominican Republic. Lago Rincsn The island's largest freshwater lake is a popular place among bird watchers (info on bird watching tours). 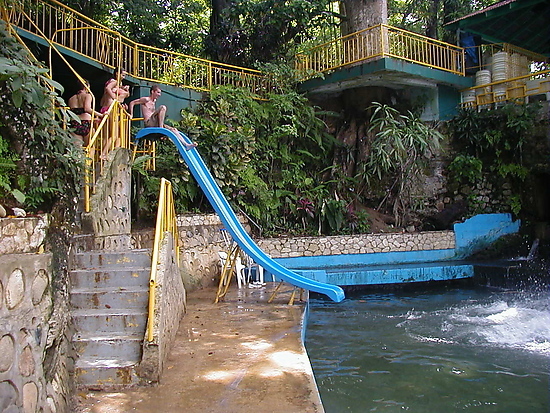 La Toma San Cristobal (about 20 miles north of Santo Domingo) – This is a river made into a bathing and swimming place. Trujillo built this place for his pleasure and it has been kept up very nicely. There is a slide and other water enjoyments. It is very refreshing. It is open to the public and there is a fee to swim here. It is not a private, relaxed swim usually. There always seems to be a bus coming in loaded with children coming to play in the river. Since this is where Trujillo was born his home and other buildings he had built can be seen here. 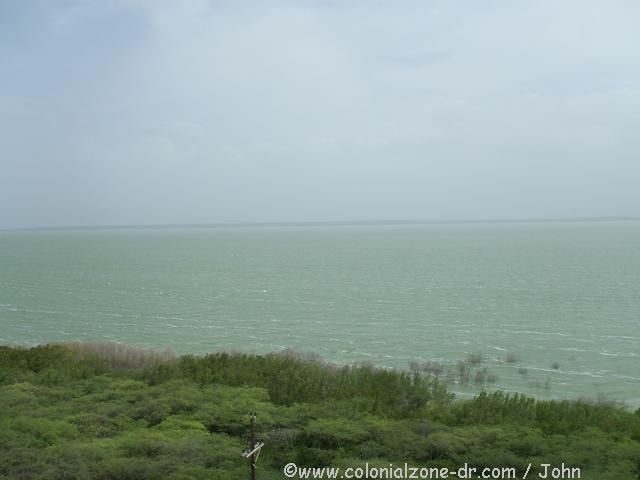 See our picture collection of Lago Enriquillo. Lizards, people of the area and some pictures of the lake itself. 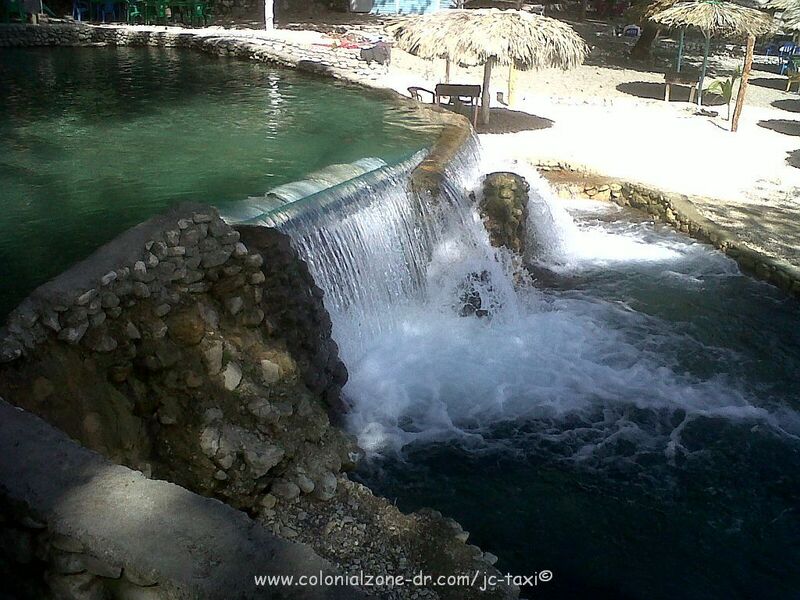 The cool water of this river running down from the hills in Baharona is a wonderful place to refresh yourself. The river running over the rocks enters a pool where people meet and greet. Then the sweet waters run into the Caribbean Sea. More information about what to do and where to stay in Baharona. 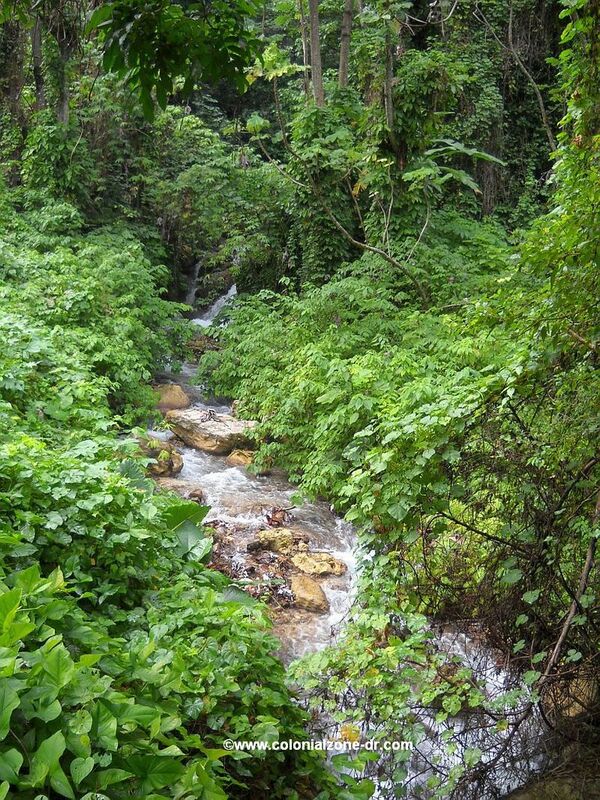 The rivers in Dominican Republic are, in general, either short or intermittent. Even though people call these rivers cold, they are very refreshing sweet water.